1) He was sleeping in an oxygen chamber because he didnt want to grow old and because he believed that this would help him to live at least 150 years. There was even a photo with him. 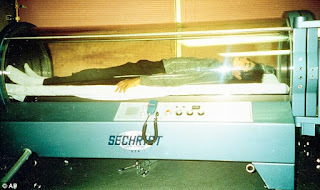 Michael denied this and said that after the incident with him getting burned in the pepsi commercial, he gave the money he earned to what later named the Michael Jackson burn center and in that photo you see a piece of technology used for burned victims, he decided to get inside and then someone took the picture. 2) There was a rumor that he was trying to buy the elephant man's bones. 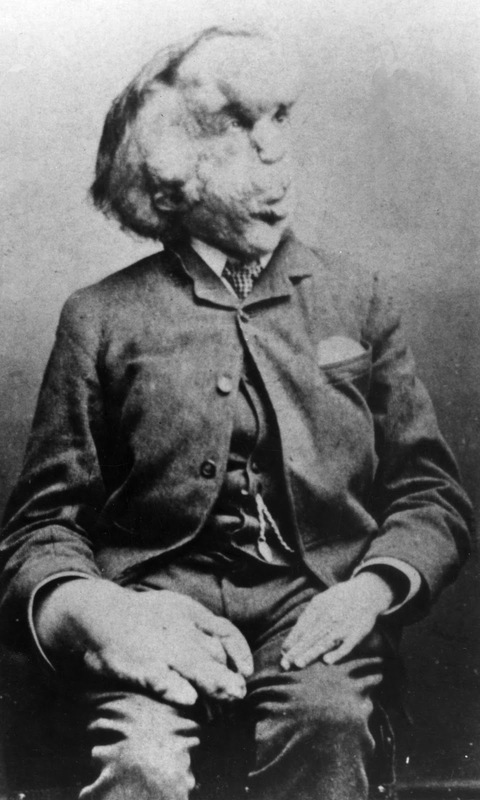 Elephant man was an english man lived in the late 19 century,he was given this nickname cause of his severe deformed looks when he was part of a freak show. 3) Remember Bubbles? this was a chimpanzee adapted by Michael Jackson in the mid 80's. 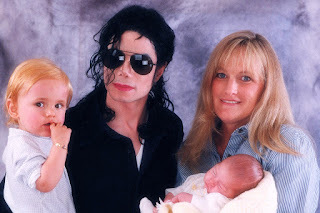 Many tabloid stories about how Michael behaved to him like a human , how he was letting him sleep in his bed, or once it was said that Bubbles was going to be a ringbearer to Elizabeth Taylor's wedding , soon stories like this about the obscure behaviors of Michael Jackson will inspire the tabloid press to give him the nickname ''wacko Jacko'' something that he hated. 4) He wanted to be white. Especially before it was widely known that he was suffering from vitiligo, there were stories about him wanted to be white and that's why he changed the color of his skin, it was said that he was bleaching it to become more white. Some argue of which was the primary cause of his skin growing more pale. During his last pepsi commercial he was accused of insisting that a white boy should be used instead of a black boy for recreating his younger self. Despite his skin color , the fact that his kids are white and that his facial features changed and became less black added more discussions to the topic. Michael himself refused that many times, he said that he was proud for his black heritage. Here you see Oprah asking him about this and his reply. 5) That's a crazy one. Michael Jackson paid 150.000 dollars to a voodoo witch doctor to kill Steven Spielberg to take revenge for not casting him in Peter Pan. And not only Steven Spielberg other people where in the list too. This isnt the only incidence with his involvement in occultic conspiracies, for example it was noted that he had a secret room full of mirrors where he could commune with spirits, while many of his albums and musics videos are pointed out for their symbolism, but well these days everyone gets a bit of analysis for his ''artistic'' work, let's not get too deep in this now. 7) A picture of an ancient Egyptian sculpture from the Chicago's field museum taken by a Flickr user became the tinder for many media posts and comments. 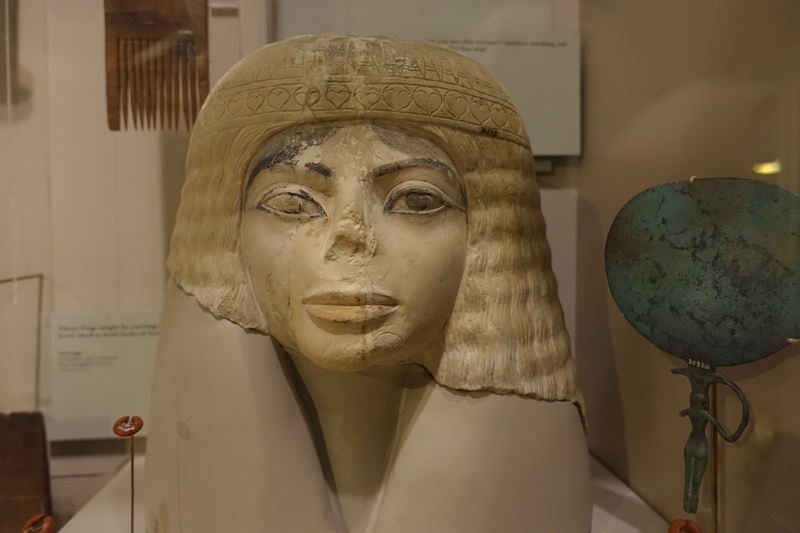 Some said Michael Jackson was taking ideas for his plastic surgery's based on this sculpture or others said that he was a time traveler! What's makes even more harder to convince people that this is just a coincidence is the tipless nose which very much resembles Michael Jackson's and the 1992 music video ''remember the time'' who had the Egyptian thematic in which he portrayed a wizard singing to the Pharaoh's Queen if she remembers the time they were together! It is also worth mentioning that the sculpture has been on display since 1988 in the Field Museum, few years before the video was filmed! Although there is no evidence that Michael ever visited the museum. 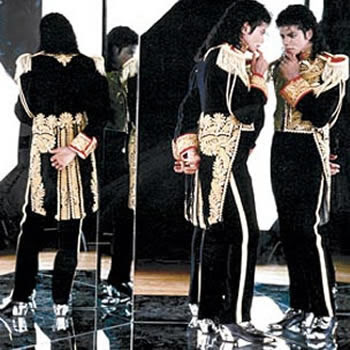 8) Michael Jackson was obsessed with cloning himself, it is said that he paid scientists to clone his DNA before his death, some say that a clone is already available, others say that Michael Jackson was already cloned in the early 80's and the one we knew since then was a clone. The only thing we can say for sure is that a video clip with a well designed clone of him was made in 2014 for his X-scape album. 10) He is not dead. Like with the ''Elvis is still alive'' rumor , a rumor that Michael Jackson is not dead and that he faked his death to escape the media's attention and his economical pressures soon was popularized after his death . Every now and then you see photos,videos with him claiming he is not dead.